It will take about 15 mins to update your firmware. While you’re doing this your internet service will be impacted. 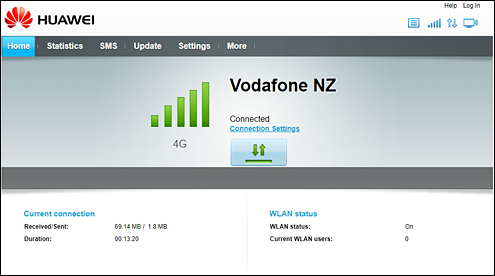 If you have a phone connected to your modem, it will also be affected. 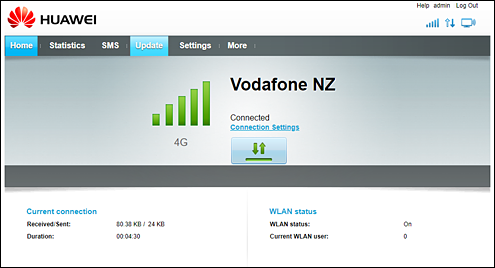 Any custom configuration (SSID, Wi-Fi password or Channel) should be retained during the update. 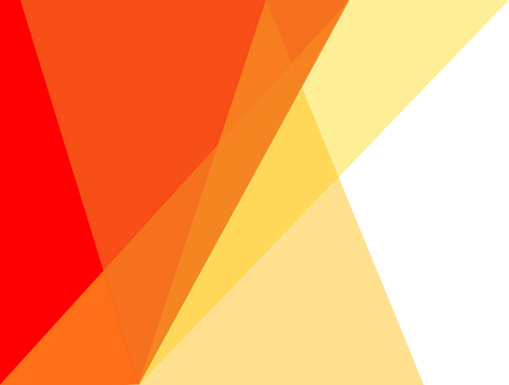 There is a possibility that customised or advanced configuration will be removed and will need to be reconfigured after the update but this is unlikely. You will need to complete the update on your desktop or laptop computer. If do not have access to a desktop or laptop computer please contact us for alternative options. Do not close the browser or unplug the device while the update is in progress. 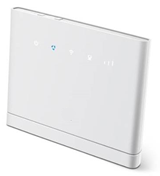 Make sure your computer is connected to the modem either by Wi-Fi or an Ethernet cable. 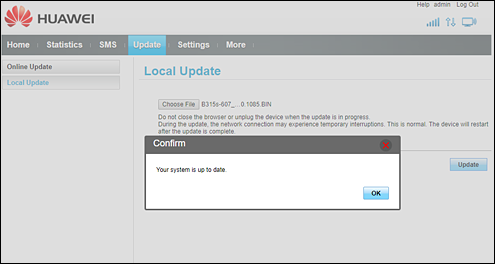 To complete a local update you first need to download the firmware update file to your desktop or laptop computer. Please note the location of the file that has been saved on to your computer as you will need to access the file shortly. The location can vary depending on operating system and user settings, however in most cases this will be the “Downloads” folder located within your Documents or User folder. You will see the below page (or a similar page). please try http://192.168.0.1/ or http://192.168.8.1/ if the above default address does not work. If you have customised the password, use your custom password instead. After pressing Log In you may receive a prompt asking you to change the password, click Later. Click the Update tab located along the top menu bar. Click the Local Update button on the left hand side, followed by clicking Choose File. 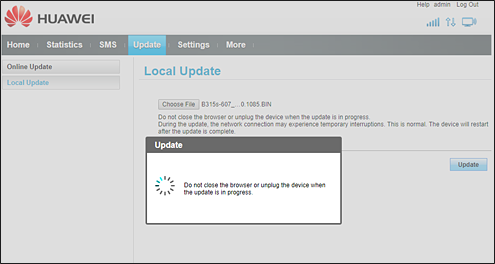 Navigate to the location of the saved firmware update file from step 1. Select the file and click open. You should then have the file loaded ready to update as pictured below. The firmware update will begin installing on to your modem. This can take 5 to 10 minutes. Do not close the browser or unplug the modem while the update is in progress. Once completed, you will see a notification that update is done. At this stage the firmware update has been completed. You can now close the browser window and check you are surfing the internet as per normal. If you need any assistance at all please do not hesitate to contact us. 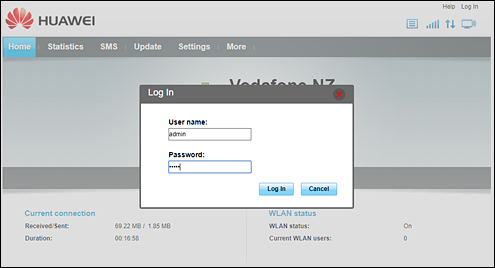 After the update, you can log back in to the modem and check or change any custom settings. Please note upon first log in after the firmware update you will need to go through a basic setup wizard. SSID (Wi-Fi Network Name) and Password (normally left as default). Update Configuration (we recommend enabling auto update). Finally you will be required to modify the default admin password (we suggest using admin123 as the new admin password. This log is only accessed from your local network so it is safe to use a standard admin password).